I put them into every crate in the area which one does the dwarf mean ? This quest and the barrel bomb are known to break and require tweaking the console to fix. Are you 100% positive you put all 20 bags in the right crate? The right crate is the one that looks "open" almost directly across from the one where the bags are initially. I first had some trouble completing this quest because I expected the target crate to be some distance away, but nope, it's almost right next to the initial crate! I had the same issue. Also, I realized I left one bag behind in my inventory. What I did was put all the bags in the open crate that looks broken that's opposite where they were originally. Go talk to the guy and he'll ask you to move them back. Then move all the bags back to their original crate. Talk to the guy again that you moved them back and the Achievement popped up for me. This one crate. Only a few steps west from where we gain sacks of grain. I couldn't help but notice you've got a different font, how did you do that? This quest is not well written. The dialogue should make it clear which chest is being referred to. If the instructions had said: Put them in the open chest just over there, it would have been MUCH better. @DJKajuru Font size can be changed in graphics. I have now completed the quest. I am now wondering if it is these sacks that now need to be poisoned. I have already poisoned the water. 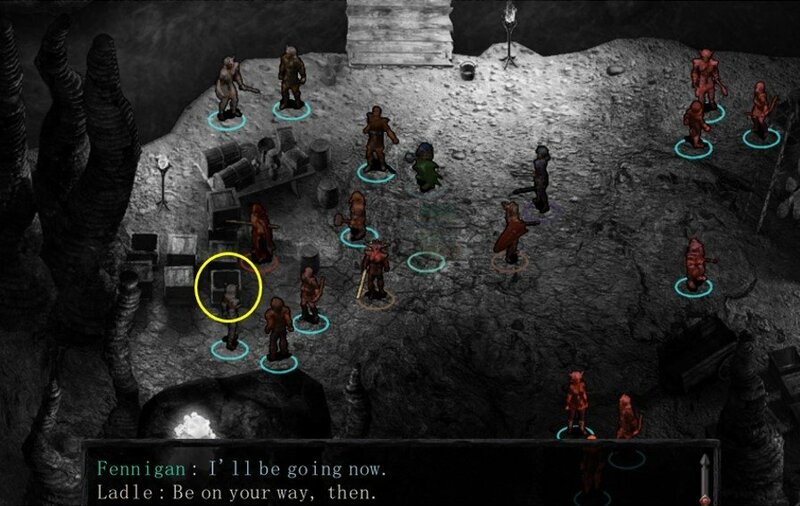 I moved all 20 grain sacks to the crate indicated in the image (x=3893, y=1954) and Ladle still failed to show the dialogue to continue the quest. Moving the sacks back afterward worked fine and I was able to complete the quest.